Taipei, Taiwan – FZtech, a manufacturer and supplier of cutting edge and high quality products, is excited to announce the colorful mobile accessory collection for iPhone 5, iMetal Series - Metal Bumper FZT-M2. The protective and metal surface bumper made of high quality aluminum alloy with plastic injection, is designed to protect iPhone 5 against impacts and scratches. Weighting only 11g, FZT-M2 features lightweight, ultra-thin and smooth metal surface. The combination of aluminum and plastic creates two-tone colors, allowing users to experience the easy hand-held and comfortable touch feel. M2 has a simple & stylish shape with 5 color options, i.e. 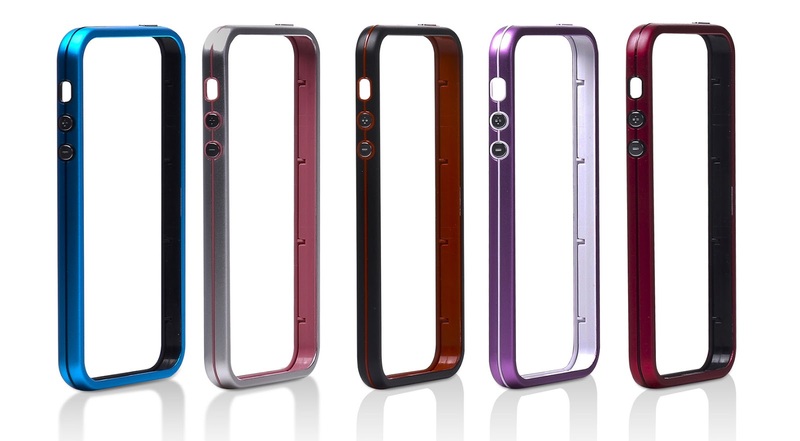 including blackberry, blueberry, strawberry, cranberry and mint blue, allowing users to dress up their iPhone 5 in different colors. Aluminum alloy, lightweight, and portable is the key features of iMetal Series. FZtech adds plastic material to M2 series, trying to create more possibilities of creativity. With its creative and innovative design, FZtech is eager to expand its product line to consumer electronic accessories for Apple products, aiming to provide excellent products for users to match their lifestyles.